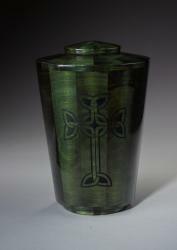 The Celtic Knot urn is a powerful and moving final resting place for a loved one with a lot of Irish pride. 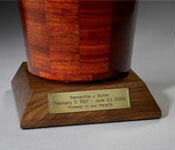 Using poplar wood, Steve Shannon carefully crafts a round, flowing cremation urn. 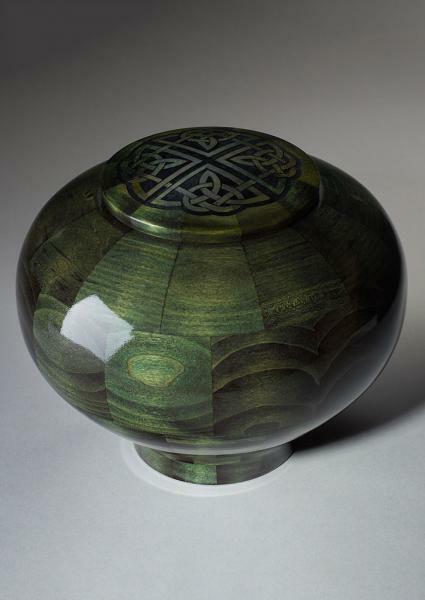 After wood turning the artistic urn, it is dyed a vibrant, emerald green and finished with a laser-etched Celtic Knot on the cap. Urn jewelry available at Etsy Charmed Wife Shop.